Birth circa 1846 Joseph Bean was born circa 1846 at Appin, NSW, AustraliaG; based on his reported age when he died. He was the son of Joseph Bean and Emma Saunderson. Death 5 November 1905 Joseph Bean died on Sunday, 5 November 1905 at Redfern, NSW, AustraliaG. 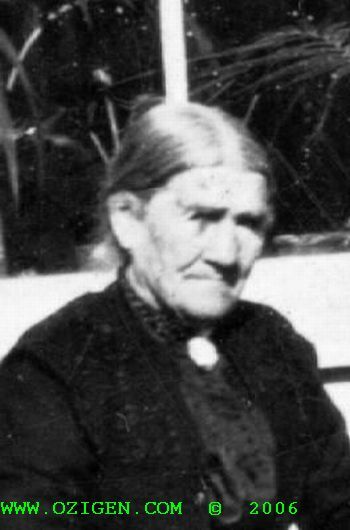 Birth 1837 Mary Ann Wharfe was born in 1837 at NSW, AustraliaG. She was the daughter of James Wharfe and Sarah T Thompkins. [S2] Index of BDM records, NSW BDM, Place of Registration: Parramatta; Year: 1864; Number: 5082. Birth 25 June 1876 Alfred Jeremiah Mote was born on Sunday, 25 June 1876 at Yass, NSW, AustraliaG. He was the son of James Frederick Mote and Martha Crossley. Death 1877 Alfred Jeremiah Mote died in 1877 at Yass, NSWG. Birth circa 1866 Charles H Bean was born circa 1866. He was the son of Charles Bean and Susan Hannah Muldoon. [S2] Index of BDM records, NSW BDM, Place of Death Registration: Orange; Registration Year: 1927; Registration Number: 16465. She was the daughter of Charles Bean and Susan Hannah Muldoon. [S2] Index of BDM records, NSW BDM, Place of Death Registration: Granville; Registration Year: 1945; Registration Number: 9187. Birth 19 August 1843 Joseph Bean was born on Saturday, 19 August 1843 at Appin, NSW, AustraliaG. Death 3 August 1845 Joseph Bean died on Sunday, 3 August 1845 at Appin, NSWG, at age 1. Birth 26 July 1846 Mary Collett was born on Sunday, 26 July 1846 at Parsonage, Appin, NSW, AustraliaG. She was the daughter of Philip Collett and Lucy Bean. Married Name 1874 As of 1874, her married name was Nicol. Birth David Smith was born at ScotlandG. Marriage David was married to Margaret Wardrop. Birth 21 May 1829 Thomas Maxwell Smith was born on Thursday, 21 May 1829. He was the son of David Smith and Margaret Wardrop. Marriage 20 April 1864 Thomas Maxwell was married to Ann Murray, daughter of John Murray and Agness Crawford, on Wednesday, 20 April 1864 at Goulburn, NSW, AustraliaG. Death 29 July 1916 Thomas Maxwell Smith died on Saturday, 29 July 1916 at age 87. Birth Margaret Wardrop was born at ScotlandG. Marriage Margaret was married to David Smith. Birth John Murray was born at Ayreshire, ScotlandG. 1860 John Murray was a passenger aboard The Ship Hannah More which sailed from Liverpool, Lancashire, EnglandG, in 1860 and arrived in Sydney on 6 May 1860. [S6] Marilyn Rowan, "Transcription of B, D or M," transcription to Robert Mote, the death certificate of Agness Murray, nee Crawford. [S6] Marilyn Rowan, "Transcription of B, D or M," transcription to Robert Mote, Marriage Certificate for Andrew Murray & Agnes Crawford. Birth 10 January 1843 Ann Murray was born on Tuesday, 10 January 1843 at Ayreshire, ScotlandG. She was the daughter of John Murray and Agness Crawford. Marriage 20 April 1864 Ann was married to Thomas Maxwell Smith, son of David Smith and Margaret Wardrop, on Wednesday, 20 April 1864 at Goulburn, NSW, AustraliaG. Married Name 1864 As of 20 April 1864, her married name was Smith. 1860 Ann Murray was a passenger aboard The Ship Hannah More which sailed from Liverpool, Lancashire, EnglandG, in 1860 and arrived in Sydney on 6 May 1860. [S2] Index of BDM records, NSW BDM, Place of Death Registration: Goulburn; Year: 1924; No: 3033. Married Name 1827 As of circa 1827, her married name was Murray. 1860 Agness Crawford was a passenger aboard The Ship Hannah More which sailed from Liverpool, Lancashire, EnglandG, in 1860 and arrived in Sydney on 6 May 1860. [S6] Marilyn Rowan, "Transcription of B, D or M," transcription to Robert Mote, the death of Agness Murray, nee Crawford. Birth circa 1757 Charity Mullinger was born circa 1757 at EnglandG. She was the daughter of William Mullinger and Charity Alexander. Married Name 1779 As of 12 October 1779, her married name was Harbour. I cannot forget old Charity Harbour, her daughter Mrs Hammant and her dear children. Elizabeth Hammant formerly kept the Dolphin Public House. It was a dangerous place then and being on the high road was frequented by Higglers, and not of the best character. One of the sons who was transported became a sincere penitent in that country, and when the Bishop of Sydney was confirming in this district in which he lived, he begged of him to send twenty pounds to me for the transit of his three dear children. I took them up to London, saw them safe on board the emigrant ship and with tears left them to their long journey. I cannot forget Collet and his wife. [S448] Roma Chatts, "The Harbour Family," e-mail to Robert Mote, 25 March 2004, obtained from the Wortham burial index. Death James Harbour died at EnglandG. Birth between 1750 and 1760 He was born between 1750 and 1760 at EnglandG. Name Variation 1779 As of 12 October 1779, James Harbour was also known as James Harber as recorded in his marriage entry.